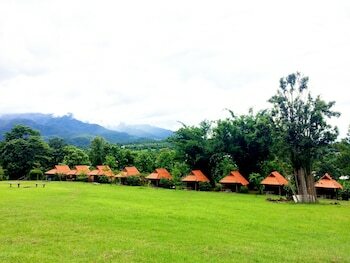 When you stay at Bunny Pai Camping in Pai, you'll be within a 10-minute drive of Wat Luang and Pai Hospital. The front desk is staffed during limited hours. Free self parking is available onsite. When you stay at THE BASE Uptown By Favstay in Ratsada, you'll be within a 10-minute drive of Aphrodite Cabaret Show and Siam Niramit Phuket. With a stay at NIDA Rooms Patan Ngam Lanna in Chiang Mai, you'll be convenient to Lanna Hospital and Chiang Mai National Museum. Free self parking is available onsite.